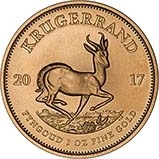 Although the basic idea behind Krugerrands was to be purely a bullion coin, we are increasingly asked for particular dates of Krugers. To meet this demand, we have therefore attempted to retain at least one of each date in stock. Naturally this involves us in extra costs - time, finance, storage, and insurance, so we make what we believe is a reasonable charge to recoup these extra costs. Please note that there may be some dates which were not issued in the ordinary uncirculated version, but which may be available as proofs. If you are looking for our lowest premiums please visit our bullion Krugerrand page. We stock a wide range of dated Krugerrand coins, if you don't see what you're looking for, call us on 01253 343081. We stock Royal Mint and Perth Mint products which are probably our most popular mint choices. We have coins from mints all over the world! We also stock over 5000 sovereigns many of which are now online from rare highly collectable pieces to bullion sovereigns. Please use the side filters to navigate through our products. If you ned any help please call 01253 343081 and one of our friendly staff will assist you. You can view all of our special offers here and use this link to get to all of our bullion deals. Enter the quantity you require and we will send you an email when your requested quantity is in stock. For added security, we recommend you enable two-factor authentication on your account. This helps protect your account from unauthorised access by asking you to enter a secure code each time you login.